My social media chums and clients are blogging their bucket lists. Some are expressing it as the number of things they want to see, have and get done by their next significant birthday, thus thirty for 30, or forty for 40, or fifty for 50 and mine would have to be sixty for 60. Since my sixtieth birthday is only 18 months away, there are not sixty things I want to do by then nor, frankly, between now and my kicking the bucket. I am lucky in that I have achieved most, if not all, of the things I set out to do in my life and career. I have travelled widely, had multiple careers and businesses as a serial entrepreneur who keeps re-imagining herself and I’ve lived in lots of different places. And I am interested to note that despite my list being short, it does not denote that my enthusiasm for life is dimmed one iota. More it means that my pursuit is for less; less noise, less stuff, less business. 1. I want to finally and forever be debt free. I am tantalisingly close to achieving that goal which has been on my list for a long while now. This will facilitate a simpler, even more stress-free life. 2. I intend to live for about six months of every year in St Martin in the Caribbean, at least for the decade that will be my Sixties. 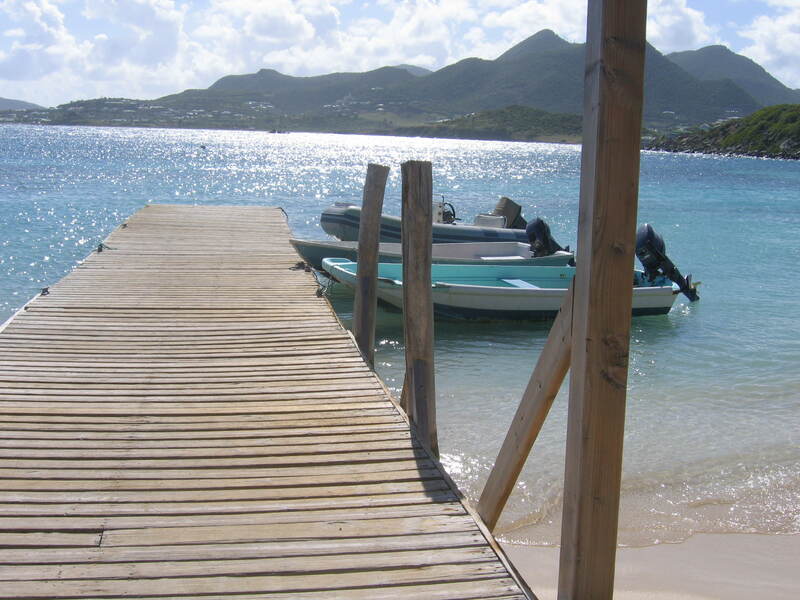 My half-French half-Dutch island has been on my dream board since my first visit in 2006. I’ve spent three Decembers there, in 2006, 2009 and 2010 and I want to continue to winter there for as long and as often as I want for as long as that remains fun. St Martin has a hurricane season so it’s likely my time there will be December to May each year. 3. Whilst I am in SXM I want to re-learn French fluently. I love languages and French is widely spoken on half of the island. This gives me a chance for total immersion with French speakers and French television, sufficient to get up to a level where once again I can hold my own in conversation. I can understand more than I let on, but I’d like to even up the two sides of my ability. Whilst we are at re-learning things, I’d like to pick up the piano where I left off too. 4. And mess about on boats. I am a water baby, I could swim almost before I could walk, and love to be on all sorts of different boats and part of me wants to learn to sail, despite fears, and to drive my own smaller boat for nipping into town to fetch the croissants. Living on the water will make this desirable and do-able. One of my most treasured memories is being chased across the Caribbean Sea on a catamaran by a rainbow. Bliss. And the sun on the water. And the moon on the water. And the ebb and flow of the tides and the sound of them on the shore. I hope to go to sleep listening to that noise and wake to it too. Indefinitely. I love the sea and the turquoise water. 5. I want to continue to write every day. This is my 445th consecutive day of writing on 750words. com and my 19th day straight of this current blog challenge, to write every day. I journal in nice handwriting and beautiful fountain pen every morning. I love to express myself best of all in the written word because I [erroneously] believe it is the optimum way for me to make myself understood. It isn’t, yet. My correspondents make that abundantly clear how often I get it wrong and lay myself open to misinterpretation, but it is a way for me to express myself and I value that, well, beyond even words. And I love the test of trying to get better by practising every day. Today, with this post, I have published 495 blogs on this site alone and many more elsewhere. Note to self, need to have a special commemorative post in 5 days’ time. And one day I would like to publish a real book or two, perhaps a memoir or a collection of articles on what it really means to be a creative entrepreneur in this day and age of employing ourselves. One who writes every day must also make lots of time for reading. In the sunshine. On the floaty-in-the-water chair thing. Good-oh. Nothing I’d rather do. Permission granted and grabbed. 6. And I want to continue to be useful to my people, any and every self-employed person around the world who wants to pick my brains and get my support while they quit the day job and build a business which sustains them creatively, emotionally and financially. Judith I love your list because it’s about how you want to feel. The only reason to be, do and have anything.Maybe I should do a 50 things when I’m 50 – not long now and ‘normal’ stuff has been in the way somewhat.